Как только Римская империя под вашим командованием, вам еще рано опускать ваш меч — Варвары идут. С двумя отмеченными наградами наименованиями из почитаемой серии Total War, у вас будет в два раза больше препятствий и возможностей контролировать и завоевать величайшую империю, когда-либо известную человеку. Rome: Total War — Barbarian Invasion (официальное дополнение к Rome: Total War) Будьте свидетелем упадка Рима, пока атакуют Варварские орды, вынуждая ожесточенную внутреннюю борьбу между соперничающими фракциями. Total War: ROME II - Beasts of War Unit Pack (STEAM) 110 р. Total War: ROME II - Daughters of Mars Gift Steam/RU 113 р. Total War: ROME II Daughters of Mars Unit Pack (STEAM) 115 р. Total War: ROME II 2 Daughters of Mars Unit Pack STEAM 118 р. Total War: ROME II - Daughters of Mars Steam Gift 151 р. Total War: Rome Collection (Steam KEY) + ПОДАРОК 182 р. Total War: ROME II - Pirates and Raiders Culture Pack 269 р. Total War: ROME II - Desert Kingdoms Culture Pack Steam RU KZ UA CIS 279 р. Total War: ROME II Caesar in Gaul Campaign Pack (STEAM) 299 р. Total War: ROME II - Wrath of Sparta RU Steam Key 378 р. Total War: ROME II - Rise of the Republic Campaign/ RU 399 р. Total War: ROME II - Rise of the Republic Campaign Pack [Steam Gift|RU+KZ]  429 р. Total War: ROME II - Rise of the Republic Campaign Pack Steam RU KZ UA CIS 436 р. Total War: ROME II - Rise of the Republic Campaign Pack 440 р. Total War: ROME II - Empire Divided (Steam Gift|RU+KZ) 449 р. 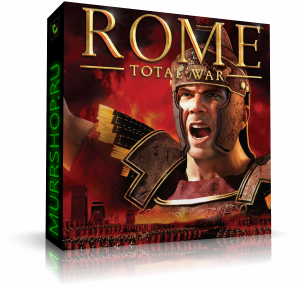 Total War: ROME II - Rise of the Republic Campaign Pack 449 р. Total War: ROME II - Wrath of Sparta(Steam Gift|RU+CIS) 469 р. Total War: Rome II – Rise of the Republic КЛЮЧ STEAM 485 р. Total War: ROME II - Nomadic Tribes Culture Pack (Steam | Region Free) 522 р. Total War: Rome 2 (Spartan Edition) (Steam | Region Free) 867 р. Total War: ROME II - Rise of the Republic Steam Gift 879 р. Total War: ROME II 2 Emperor (Steam Key Region Free) 1 342 р. Total War: ROME II 2 Emperor Edition - STEAM ROW / free 1 347 р. Total War: ROME II 2 Emperor Edition - STEAM ROW / free 1 370 р. Total War: Rome II 2 Emperor Edition (steam) + СКИДКИ 1 450 р. Total War: ROME II – Emperor Edition steam key RU, CIS 1 499 р. Total War: ROME II Emperor Edition (Steam Gift Россия) 1 649 р. Total War: ROME II - Emperor Edition(Steam Gift|RU+CIS) 1 749 р.